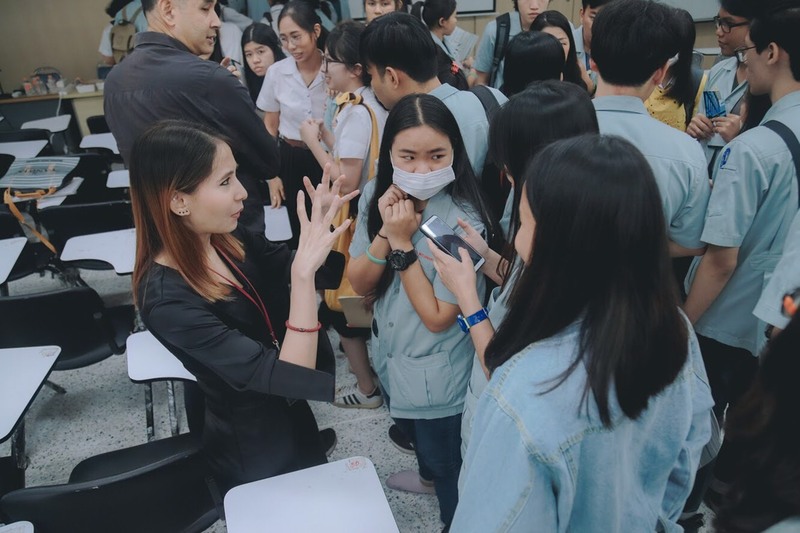 ‘YNX Recruiting’ Visits CMM @ KMUTT – Yannix(Thailand)Co.,Ltd. On Tuesday, Prateep “Teep” Siamwalla (Executive Manager), along with Yannix University Relations Officers Pajaree “Mint” Sungvianwong and Korlapat “Tarn” Kulkasemalong, delivered a talk to first and third year students, and respected faculty from the Applied Computer Science Multimedia Faculty (CMM) at King Mongkut’s University of Technology Thonburi,(KMUTT). 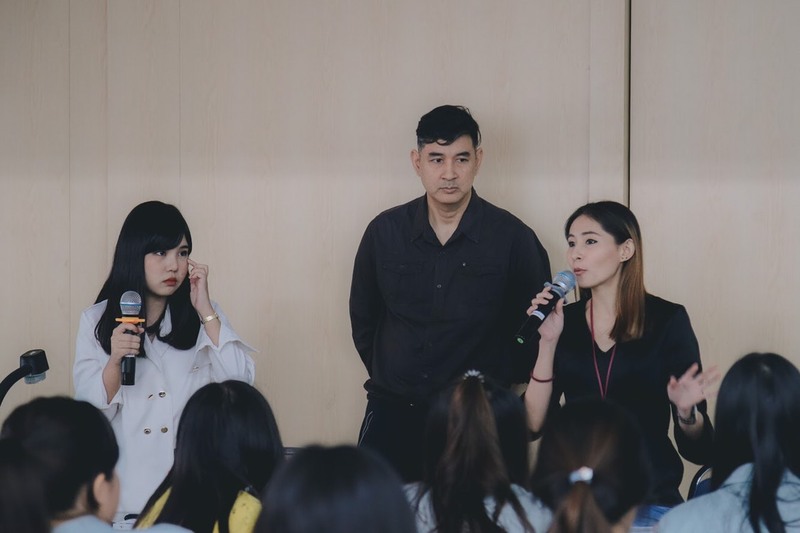 As part of a series titled, Preparing to Work in Multimedia Career: Tuesday’s event, “Work with Hollywood, Live in Thailand” took place in the 6th Floor Auditorium of Common Building 3. 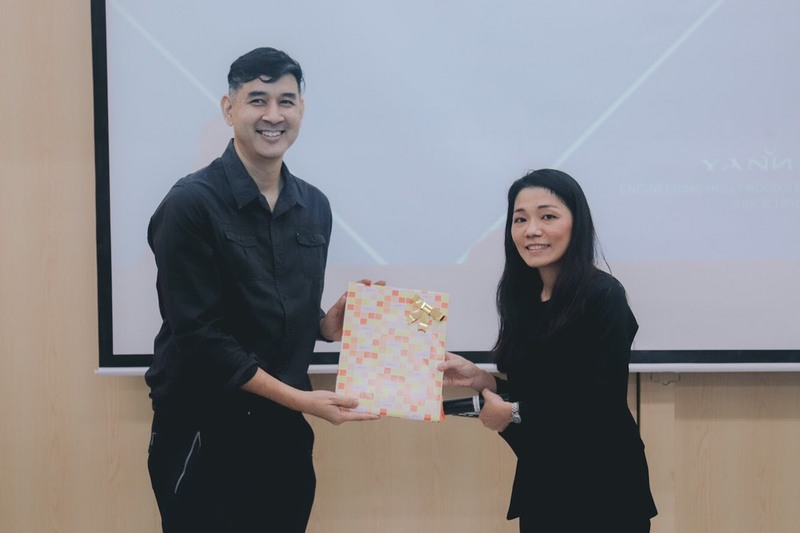 In addition to Yannix (Thailand) the event was also attended by representatives from three other well-known companies: Infographic Thailand, Adecco Thailand, and The Monk Studios. Teep and the Yannix Team explained Match Moving (and it’s place in the process of visual effects production for Hollywood Motion Pictures, Television Series and Television Commercials) to the more than 100 people in attendance. The team also gave students an overview of what it’s like to work at Yannix (Thailand). 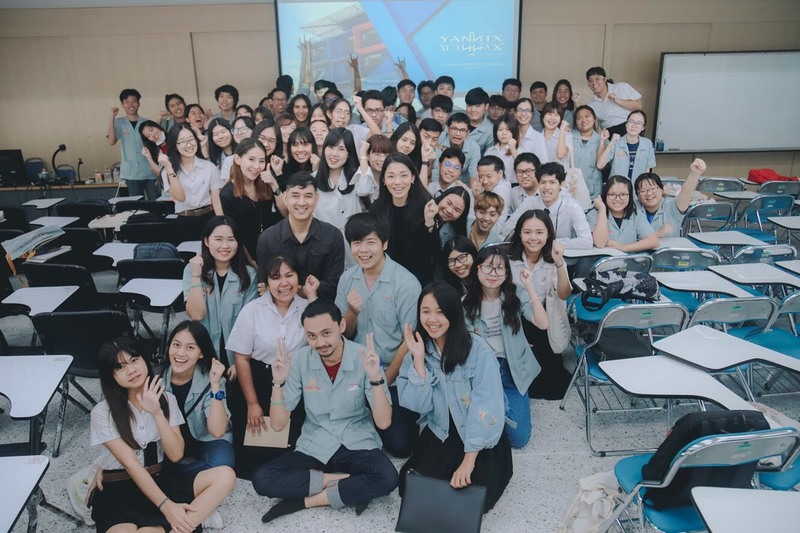 Yannix thanks everyone at CMM KMUTT for inviting us to participate in this event.